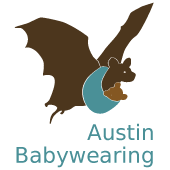 Discount Code: Use Code BWIAUS17 for 15% off each general admission and expectant parent ticket to MommyCon Austin. MommyCon Austin will take place on June 3, 2017. MommyCon is a nationwide convention series dedicated to creating and nurturing a community of parents and parents-to-be in celebration of natural parenting. MommyCon takes a gentle and positive approach to educating parents about the emotional and physical benefits of natural birthing, breastfeeding and babywearing. We advocate values of holistic health, eco-friendly diapering, child safety standards and procedures, and female self-care and wellness. Our mission is to create a community of support, acceptance and non-judgement for parents journeying through parenthood.